FAR organizes, hosts, and supports several events throughout the year. Check out our Calendar of Events for more details. 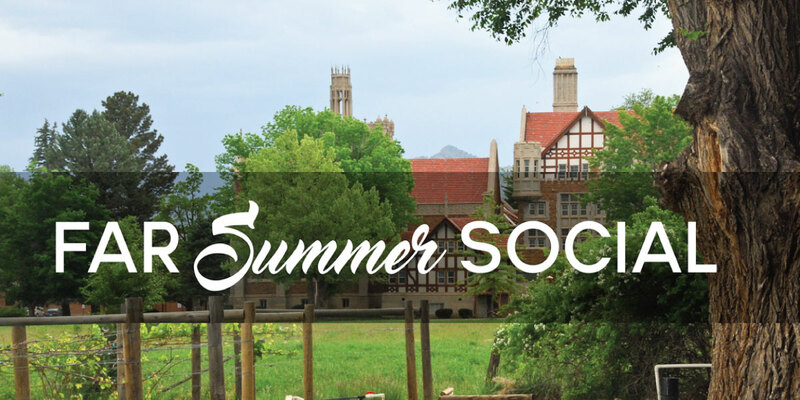 We're going to be hosting a shin-dig at The Winery at Holy Cross Abbey, and we'd love for you to be there! Bring a blanket and some munchies (we'll provide some, too), and listen to the music of Chris Hartung and crew while sipping wine and socializing with other outdoor recreationists. Sponsors / contributors- you're our honored guests! Please stop by to say hello and pick up your annual gifts. While this run is NOT TIMED, you can vie for a crisp $20 bill - waiting for the first person in each age group (under 30, 30+, male / female) to snag it! Finishers will board a bus back to Echo Canyon, where your swag bag, complete with a coupon for $2 off a Colorado craft beer AND a snazzy commemorative Nalgene. Cost: $30 per person ($25 youth or no wine) - includes run entry, commemorative reusable shopping bag, light dinner, four wine sample pairings, and entertainment. $25 for spectator meals. 1st annual Fremont Adventure Recreation Farm-to-Table 5Mile Run & Dinner, a 4-lap run showcasing the historic farmland and current agricultural offerings of Cañon City’s growers and culinary artists. 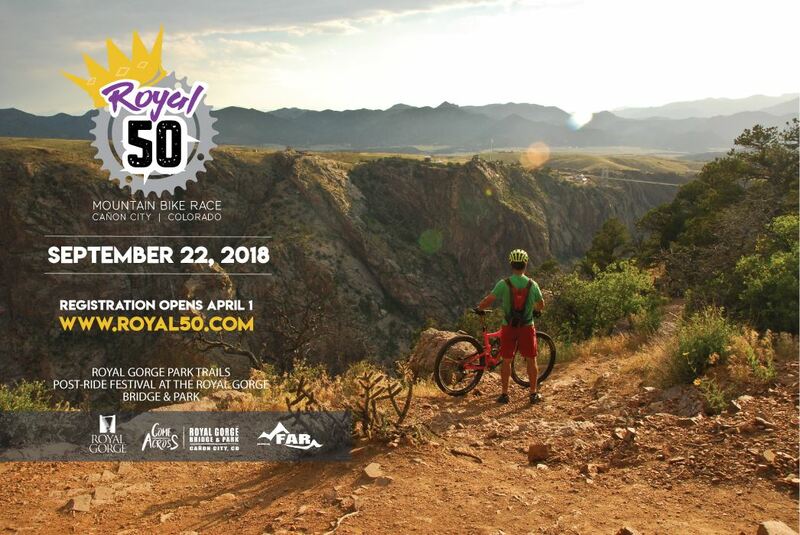 Fremont Adventure Recreation is proud and excited to announce the Royal Gorge Region's first ever mountain bike race - The Royal 50. This epic ride, which will take place on the newest jewel in Cañon City's crown - the Royal Gorge Park Trails - takes you across singletrack trails that offer flowy fun and technical challenges.